It can get really frustrating shopping for basics that are nicely tailored and yet still fit into my budget. Visit the ladies wear section of any department store and you are bound to find more than a handful of white oxford shirts. But why is it that most of the time there is always something wrong with them??? My biggest pet peeves are cheap looking shiny (polyester/rayon?!) fabrics that don't breathe, outdated cuts and ugly buttons. Or sometimes they try to think "out of the box" and go overboard with "modern updates" such as asymmetrical hems and billowy sleeves. Why can't they just come out with a basic white shirt that breathes and flatters? AND the sad thing is, it's not just about white shirts either, right??? 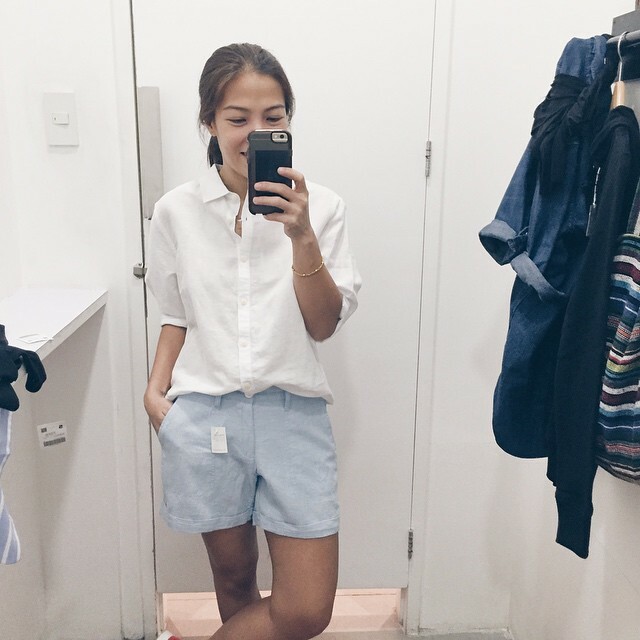 It's also really difficult finding shorts that fit well with a decent length, plain tees, etc. I feel so strongly about this because I AM A BIG BASICS GIRL (or woman, whatevs. :P). 95% of my wardrobe consists of classic pieces I can easily mix and match. Do you have the same sentiments? Wouldn't it be great to just visit one store and find everything you need to build a strong wardrobe in a single visit? If you're a practical stylista like me (whut?) then you'll appreciate Giordano's Bank On Basics Campaign just as much! For a limited time only this June-July, you can shop their awesome line of basics for cheap! Bank On Basics includes a carefully curated selection of high quality basics such as shorts, tees, shirts, and pants done in linen and oxford fabric. Even better? They fit like a dream and the price tag attached is pretty unbelievable! 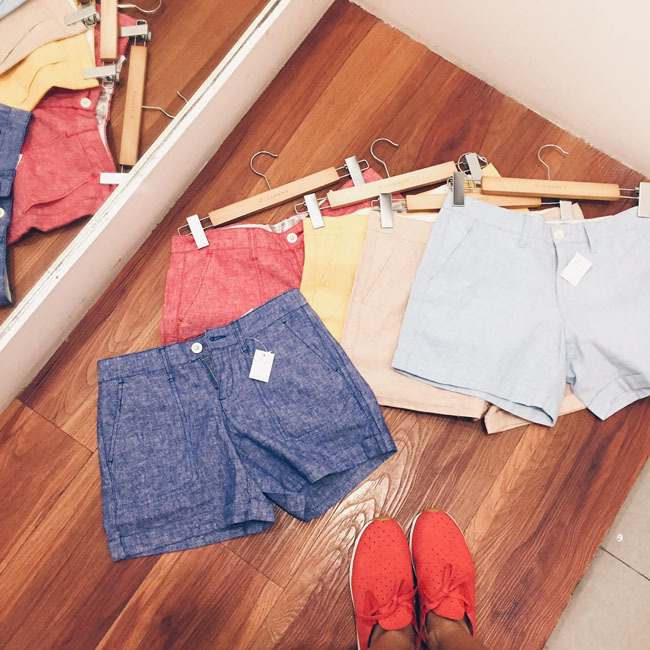 Think P999 for linen shorts in a variety of pretty colors + standard staples such as white, khaki and black. Now is the time to shop for investment pieces without really needing to put much money behind it. Grab reliable button down's, shorts and even comfy cotton maxi dresses for only P699! Out of all the sales this year, this one's THE ONE you shouldn't miss.